Your wedding reception is quite possibly the biggest party you will throw in your lifetime – so you want it to be perfect, right? Well, you are in luck if you are marrying in beautiful Queensland, because we have some of the most diverse and beautiful locations in the entire world on our doorstep! 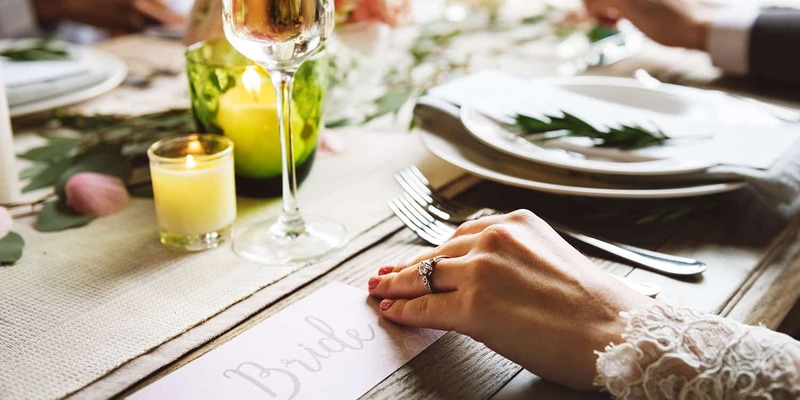 At Queensland Brides, we’ve been helping couples plan their weddings for nearly 35 years, so you could say we’ve learned a thing or two to help you do it the stress-free way! With so many elements involved in deciding on the perfect wedding reception venue, it’s quite normal to be feeling, perhaps, a tad overwhelmed (let’s be honest, getting the venue right often feels like one of the biggest parts of the wedding). Well, take stock honey, because we’ve created this website to make sure planning your wedding reception is an absolute breeze for you! We’ve done all the hard work for you when it comes to amazing wedding locations and have put together a compendium of the most beautiful Queensland wedding venues, all featured here! From Brisbane to the Gold Coast and of course the beautiful Sunshine Coast, there are some truly stunning locations to marry at. We even go as far north as Tropical North Queensland, and no Queensland wedding reception guide would be complete without including wedding venues in The Whitsundays, The Darling Downs or just over the border in Byron Bay and the Tweed Region. Should you be toying with the idea of a Destination Wedding, you’ll find some dreamy ideas here too. Not only does this website offer a comprehensive directory with handpicked reception venues, but you’ll also discover some stunning ceremony locations. Plus, there are loads of planning tips and plenty of helpful advice, so throwing the perfect wedding reception will be a cinch! We also remind you of the important questions you should be asking your would-be reception venue, show you how to ‘get the party started‘ and can even point you in the right direction for nailing your seating plan! See, honestly, we’ve got your back to help ease all your wedding reception planning woes. Happy wedding planning!